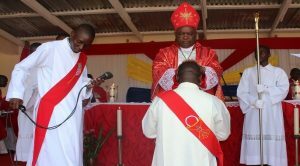 Bishop Martin Anwel Mtumbuka of Karonga Diocese on Saturday 23rd December 2017 ordained Edward Kamanga to diaconate as a transitory step towards priesthood. The ceremony will go into the annals of the Diocese as it is the first time for St Joseph the Worker Cathedral to host an ordination since its inauguration in November, 2016. 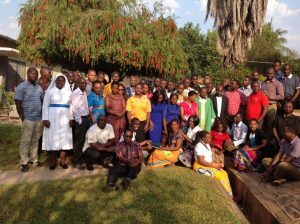 In his homily, which centred on the theme of ‘Centrality of Salvation of Souls’ to the mission of the Church, Bishop Mtumbuka stressed that the number one priority of the Church is to help people to know God, to be saved, and to grow in holiness and faith. He further stressed that the Church is there to prepare people and sanctify them to stand in the presence of God. “We cannot be a Diocese if we stop at delivering on charity work and social development. As a Diocese we are doing a lot to alleviate the suffering of the people through charity work, education and health services. But if you stop at initiating development work, then you are turning a holy ministry into mere social work. And that is not acceptable. As priests we are supposed to pray and bless Christians who are placed into our care. ” Said Bishop Mtumbuka. The Bishop further exhorted priests to grow in the spirit of service since they are servants of God and instruments of the Church. He reminded them that they are meant to serve the Christians entrusted to their care and not to be served. The Bishop said problems arise between Christians and priests when priests have forgotten that they are servants. “The understanding of a priest as a servant does not undermine his leadership role. He has to lead and guide Christians and not to be led. There is a tendency among some Christians to take over the responsibility of priests and take themselves superior of priests.” The Bishop further advised. 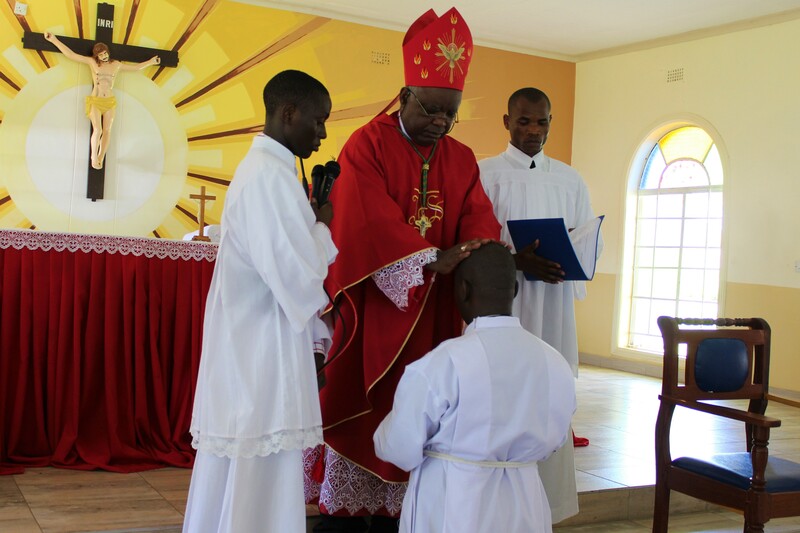 In his address to the newly ordained, Bishop Mtumbuka urged him to be modest and faithful and grow in prayer. He stressed that the first step of Holy Orders, Diaconate, is meant to help the deacon to grow in service. He urged him to pray always citing there is no important engagement for a priest than prayer. The occasion was graced by people from all walks of life including priests, religious sisters and brothers and among them was Right Honourable Richard Msowoya, Speaker of the National Assembly of Malawi. Deacon Edward Kamanga’s is expected to be ordained priest in July. He hails from Ehehleni, TA Mzukuola in Mzimba District. 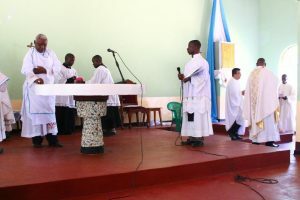 He is undergoing formation at St Augustine’s Peramiho Major Seminary in Tanzania.